When I was a kid, I used to hate quezo de bola, among other cheeses with such a sharp, distinct taste. As you grow up though, your palate evolves and develops and those flavors you used to abhor are now a welcome treat (except for liver, I still detest it; the only liver I love -- foie gras), or vise versa. Anyway, the mere mention of edam cheese triggers my brain to churn out drool-worthy images of that lovely, lovely cheese, and my mouth immediately starts to water. 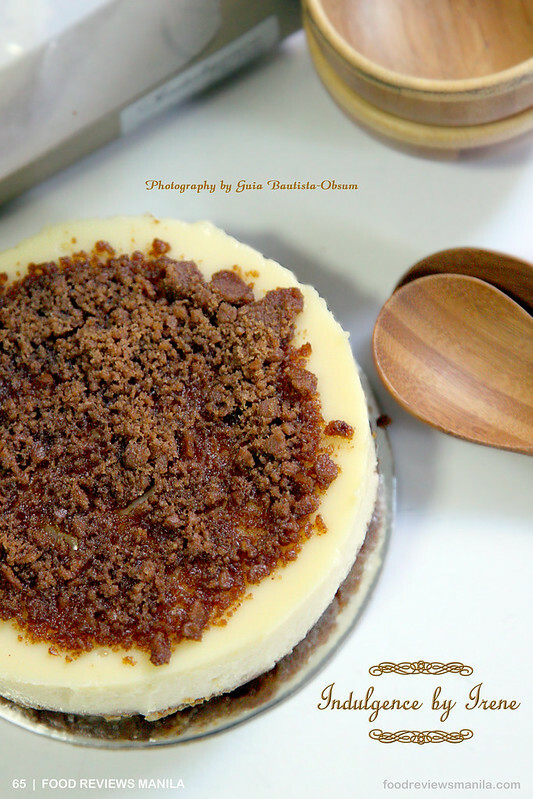 I've been hearing about this QDB Cheesecake for a long time now, made by Irene, who is the wife of Richard Co, the blogger behind Tales from the Tummy. And thus in that same span of time, I've been imagining what it tasted like and dreaming of the day when I finally get to sink my teeth into it. Finally, I got to try it out this week. Upon opening the red box that concealed the cake, I got a whiff of that slightly heady scent and it took a bit of patience to finish shooting it before impaling my fork into it. 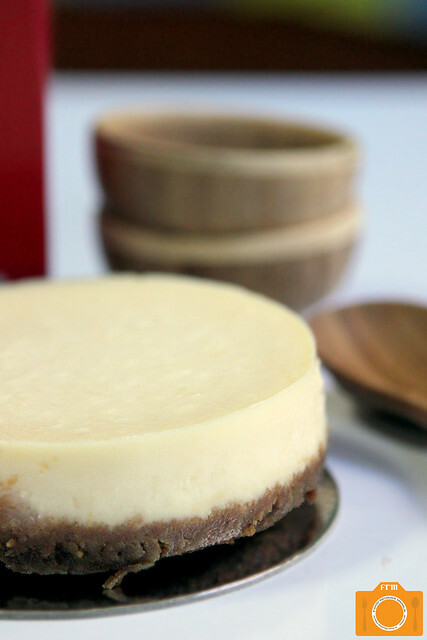 The Queso de Bola Cheesecake was what they all said it was and more. I was expecting a sharp flavor upon first bite, instead, the initial forkful was somewhat sweet, almost as if preparing you for the goodness ahead. As the dainty flavor caresses your taste buds, you gingerly begin to taste the edam cheese. This in turn compels you take another bite, and another, as the queso de bola finally reveals itself like the drawing of a majestic red curtain in a theater, signaling the start of the show. The texture was velvety smooth with a few sporadic patches of edam here and there. The graham crust was sweet, moist and buttery, nicely rounding out the flavor profile of the cake. It was a challenge to stop especially when you get more and more of that wonderful flavor with each succeeding mouthful. Seeing me gorge on this on the dining table, my baby goes up to me and says, "Mommy, can I have some?". I give her a small piece, expecting her face to scrunch up and turn away just as I imagine I would as a kid who dislikes QDB. Instead, she climbs up my lap and says, "Mommy, more cupcake!". "It's cheesecake", I say, but I don't think she cared. All she wanted was a constant supply of her "cupcake". I waited until the next day to try out the Chocnut Cheesecake, lest my baby scarfs that down as well. 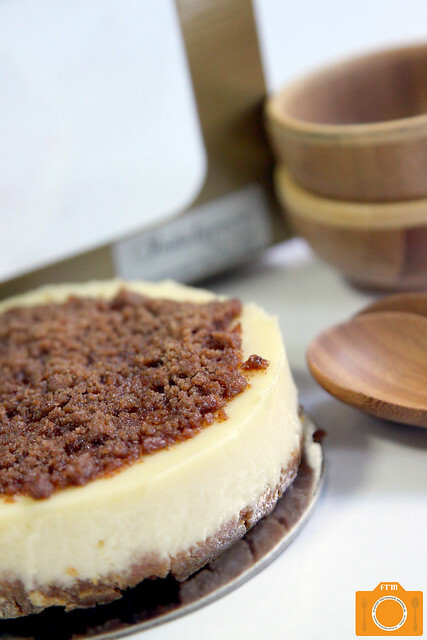 This was more of the cheesecake that I know, but with a generous spread of crushed Chocnut on top, lending a saccharine flavor to the cake, and tempering the tartness of the cream cheese. The consistency was silkier so the classic local chocolate was in charge of giving it a textural depth. It also had the same moist, buttery graham crust. If you have a sweet tooth, you'd definitely love this. 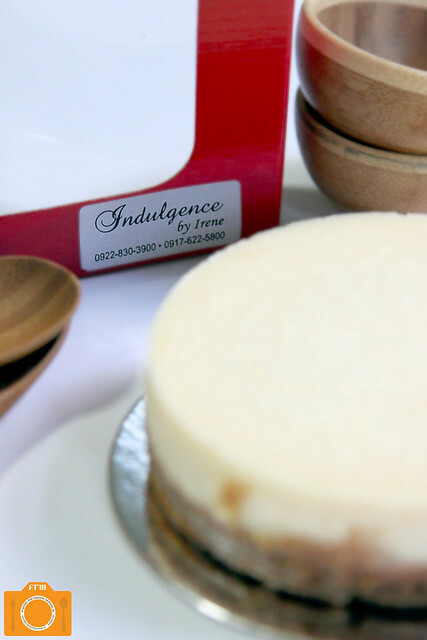 With food being the one of the perfect gifts during the Christmas season, Irene's cheesecakes are great for gift giving. You won't be sorry. And after Christmas, you can still treat yourself as these are available all year round.